As you remember, dear readers, a couple of weeks ago the BioWare company’s team introduced to us one of the updated Dragon Age: Inquisition characters - the witch named Morrigan. So, this time the developers have presented the detailed models of two more heroes - Cassandra Pentaghast and Varric Tethras. The images have been published by the studio’s lead writer - David Gaider - in the official BioWare’s blog. 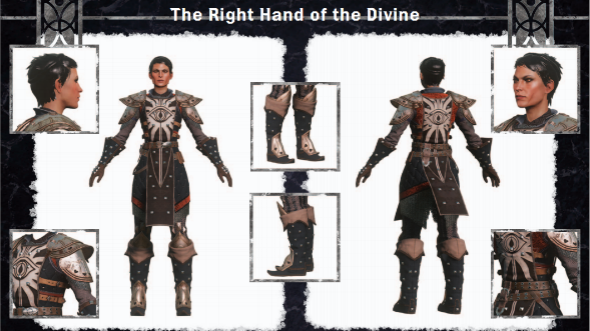 According to David, that’s exactly how the Dragon Age: Inquisition characters will look like in the game. However the players will get an option to customize the heroes and choose the other equipment for them. Cassandra is a Seeker. She took the special combat training under the Byron’s supervision. The main Cassandra’s goal is preventing the Mage-Templar war. As you may have noticed, this Dragon Age: Inquisition character is totally different from the more feminine witch - Morrigan. Cassandra wears the medieval armour, has a man’s haircut and warlike look. As for the next Dragon Age: Inquisition character - Varric the Dwarf, - Gaider has stressed that he’s not very pleased with the hero’s hair colour, because in the Dragon Age II game Varric looked more blonde. 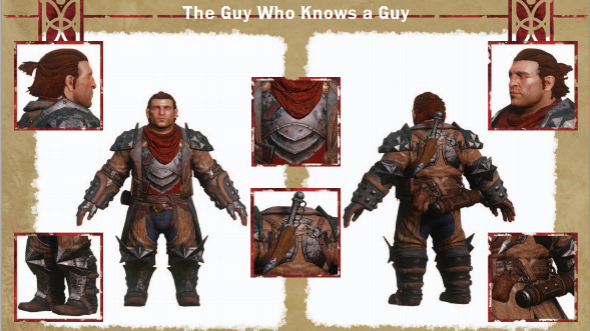 Varric is a sly bandit, who controls the gang of the spies and has some secret information that Cassandra needs. So, what do you think about the updated Dragon Age: Inquisition characters? Have you liked them? Let us remind you, the next part of the Dragon Age game series is to be released in autumn 2014 for PC, PS4 and Xbox One.